Thanks to the author, I am able to give away a copy of The Life Ready Woman: Thriving in a Do-It-All World . Read my review of the book. Whether a stay-at-home mom or an airplane-hopping executive, a student or a senior adult, most women need a contemporary, encouraging vision for what it means to be a godly, biblically guided female in the twenty-first century. A biblical woman takes God’s Word seriously not just at church but also in the everyday walk of life. But can a significant and satisfying twenty-first-century womanhood really be defined from Scripture? One that can apply to all women and yet not be guilty of cookie-cutter sameness, pressing everyone into a common mold? One that will stay fresh even as a woman grows older? One that can guide her to the best in life? The answer is yes, and the result is a femininity without excesses and regrets that mark those who just go with the flow of the world. In The Life Ready Woman, best-selling author Shaunti Feldhahn helps readers take five faith steps drawn from the Bible that will help to define the best life possible. Each one is easy to understand, but requires bold faith to activate. The reward is being ready for the deeper life that God has planned. Leave Your name, and email . 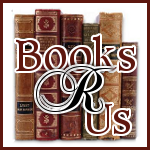 Join the Books R Us Lunch Community. The winners will be chosen by Random.org. The winner will have 48 hours to respond to the email or a new winner will be chosen. Contest ends 3/10/11 at 11:59pm eastern. Sounds helpful! Please enter me! Alissa - captainliss40(at)gmail(dot)com - Thanks for the giveaway! This sounds like a very interesting, helpful book. Please, enter me for the chance to win it! !